"Chain Gang Soldier 4 Life HUSTLE LOYALTY RESPECT"
I'M A PROUD CHAIN GANG SOLDIER!!!!!!!! I SUPPORT JOHN 1OO% NO MATTER WOT!!!!!!! I like watchin Football I Support Rangers F.C. 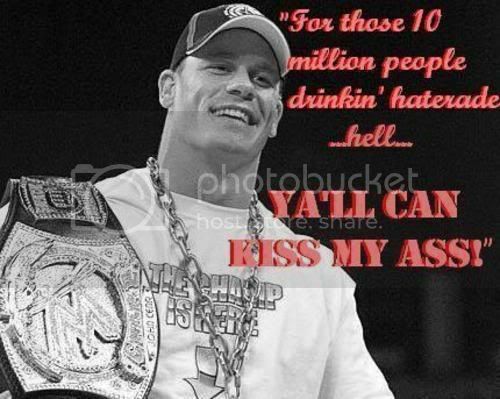 ......\.............\......... ../............./ TO ALL CENA HATERS!! put this on your page if your going to be a future WWE diva!!!! put this on your page if u love WWE!!!! |WWE Truck | '|""";.., ___. Login or register to add Chain Gang Girl as your friend!